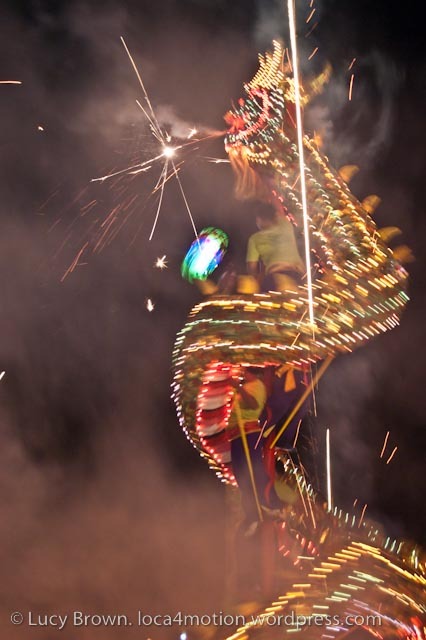 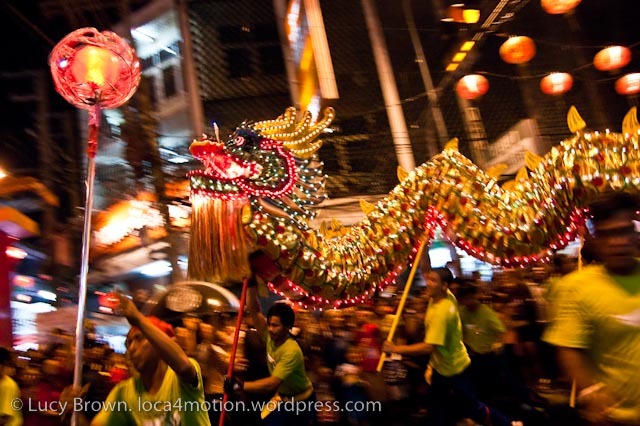 Every Chinese New Year in Nakhon Sawan city a giant, glowing dragon tears gracefully through the streets parting the crowds, twisting and writhing its way up a towering, swaying bamboo pole before finally sinking into the murky waters of the Chao Phraya River. 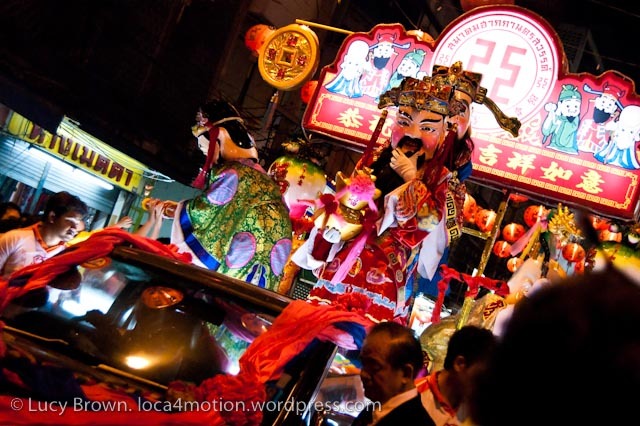 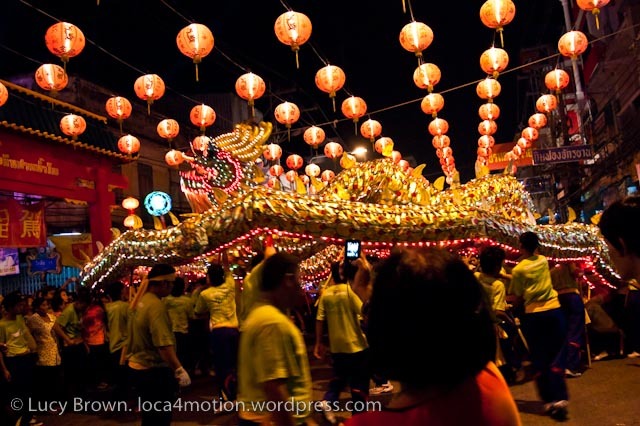 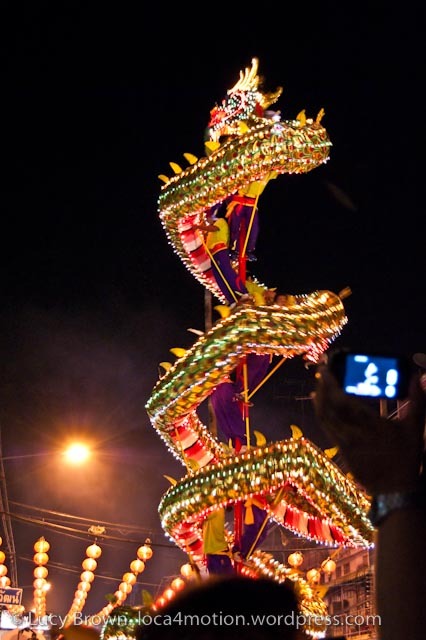 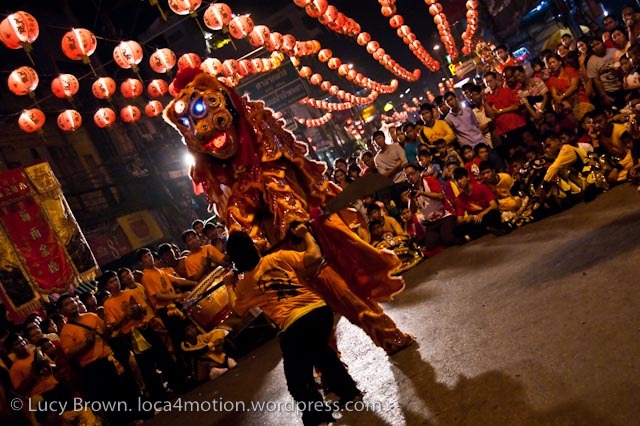 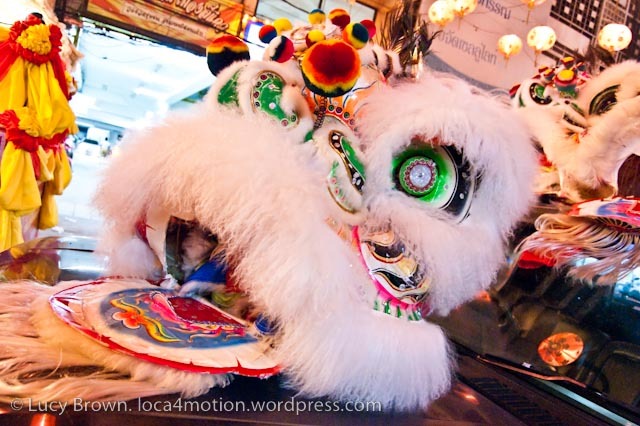 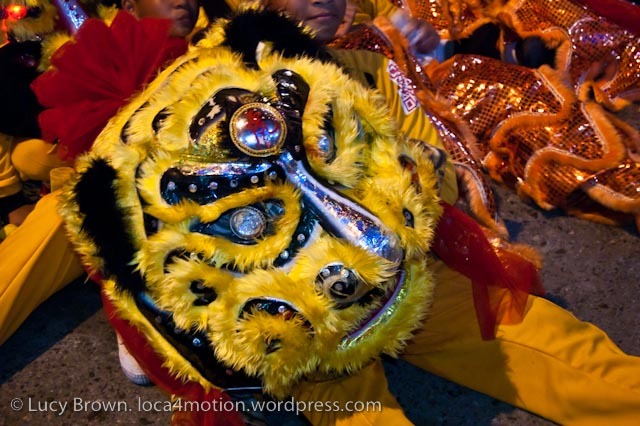 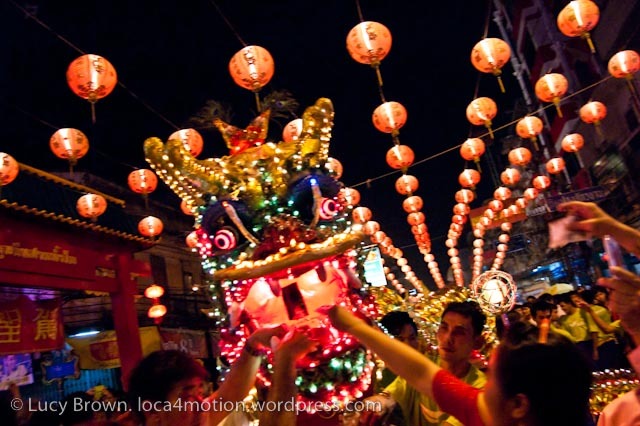 Extravagant parades of florid floats and martial art displays, angels and goddesses, dancers and musicians fill the streets while Chinese lions perform ritual dances on the ground or leap dramatically from one vertical rod to another. 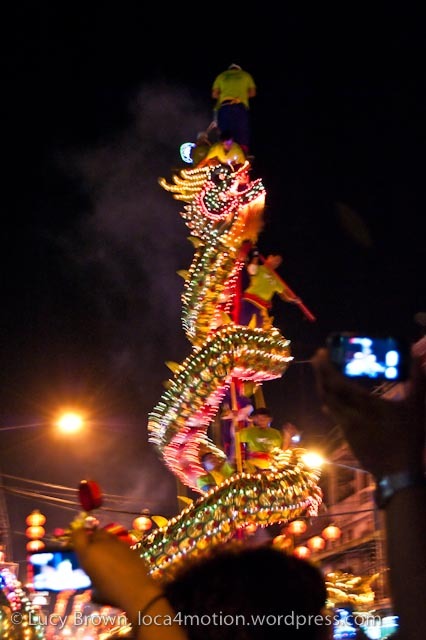 Here are some of my photos from the evening parade of February 12 that ran from 6 p.m. to midnight. 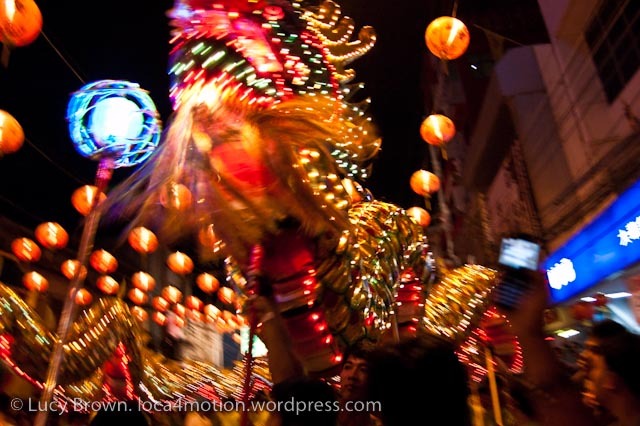 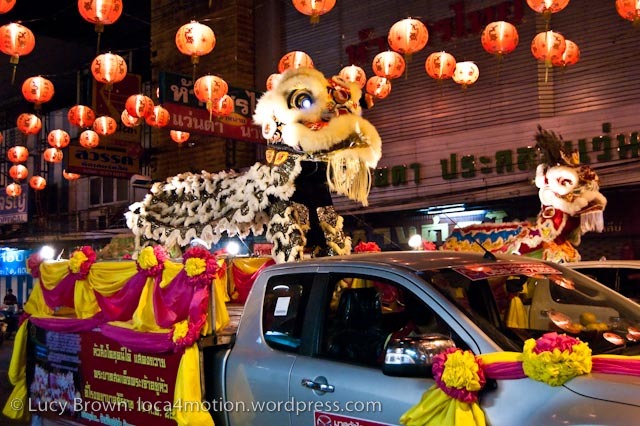 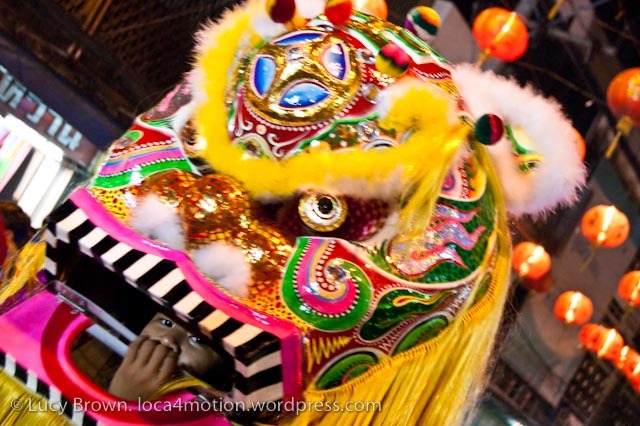 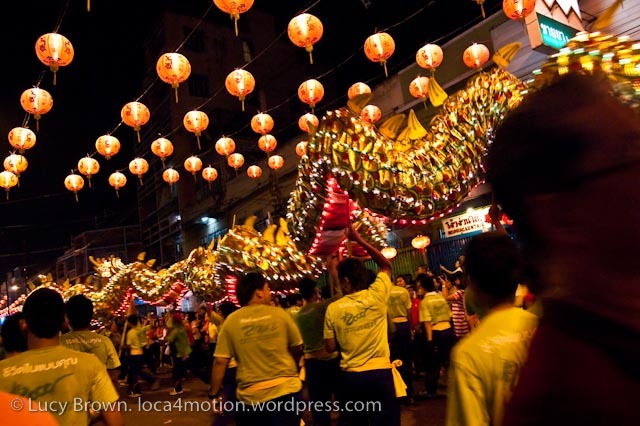 For my earlier Chinese New Year in Nakhon Sawan posts check out: Lanterns, Dragons and Dancers; Chinese Opera; and Chinese Lion Dance. 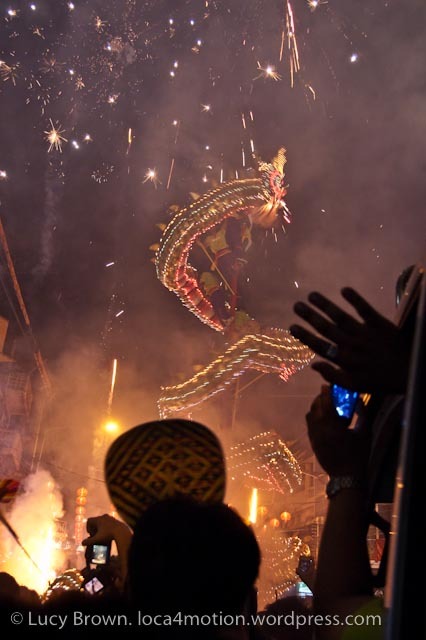 A belated Happy Chinese New Year! 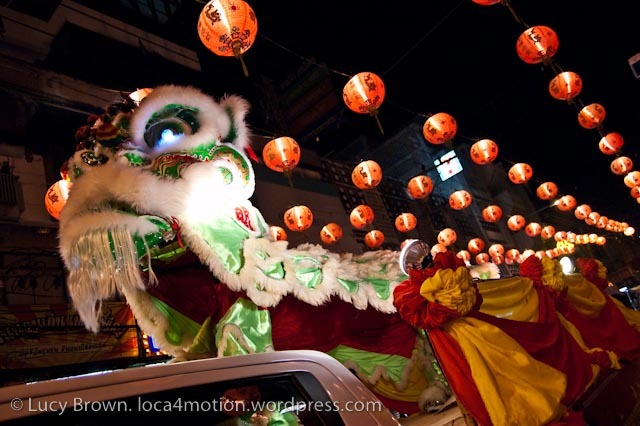 This entry was posted on February 28, 2013 by loca4motion. 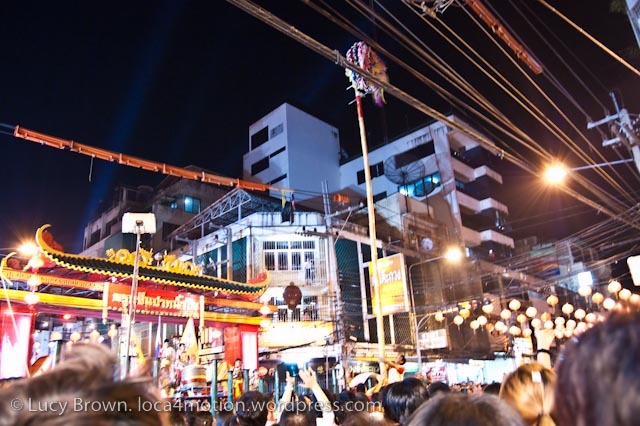 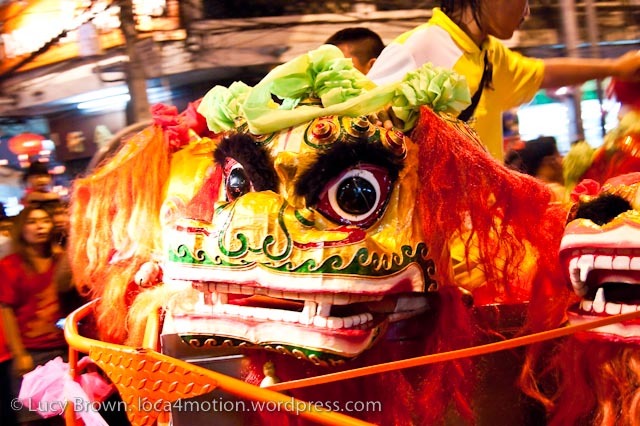 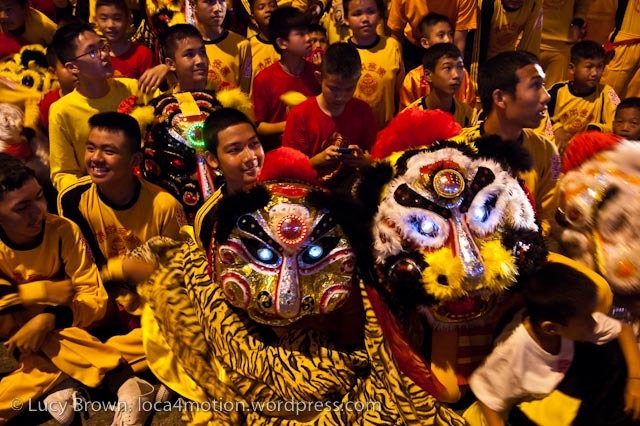 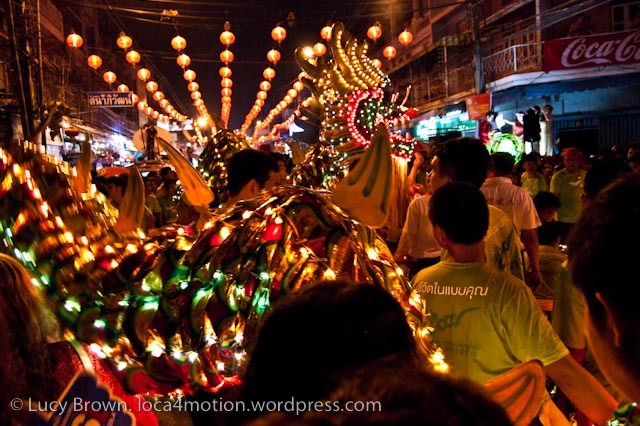 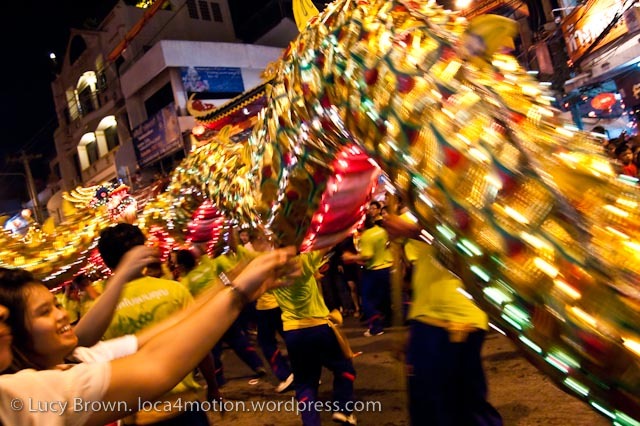 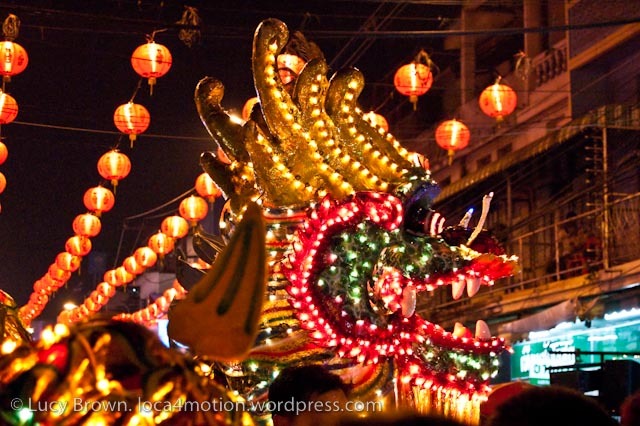 It was filed under Thailand and was tagged with chinese dragon, chinese lion dance, chinese lion dance costumes, chinese lions, chinese new year, chinese new year parade, dragon, festival, nakhon sawan, night parade, parade, photography, thailand, traditions, travel.